Buying or selling a property in Turkey is so easy, your agent will support you if needed, and it's all manageable yourself, right? What does my tapu say?. This is the experience of the vast majority, nearly all, foreign buyers of property in Turkey. The simple precaution to keep in mind, is... ' a penny of prevention is worth a pound of cure'.... And for this precautionary prevention, mytapu.com are happy to advise, guide and support you in the purchase or sale procedures, the mortgage application process, the attachment and removal of liens and encumbrances on the title, assessment of permits, valuations, tax registrations, notarisation, apostille, translations, documentary payments - all aspects of your property transaction. In this way the qualified professionals at mytapu.com have assisted more than 3,000 foreign investors in Turkish property over the last 15 years. Buying a property is a substantial investment – taking sensible precautions to protect that investment at the beginning, is the smartest step to ensuring trouble-free outcome. Please drop us a note on the form below, and learn more about how the experts at mytapu.com can help you, too…. Read more about Conveyancing for Property in Turkey...click here. Email Advice@mytapu.com Help-Line: 00 44 1787 54 000 4 Chat Box below for more information...! Question: Should I have the new habitation certificate registered on a new tapu now, or can it wait? · Eligible properties are those constructed prior to 31/10/2017. · Forms & Fee pricing available from municipality. 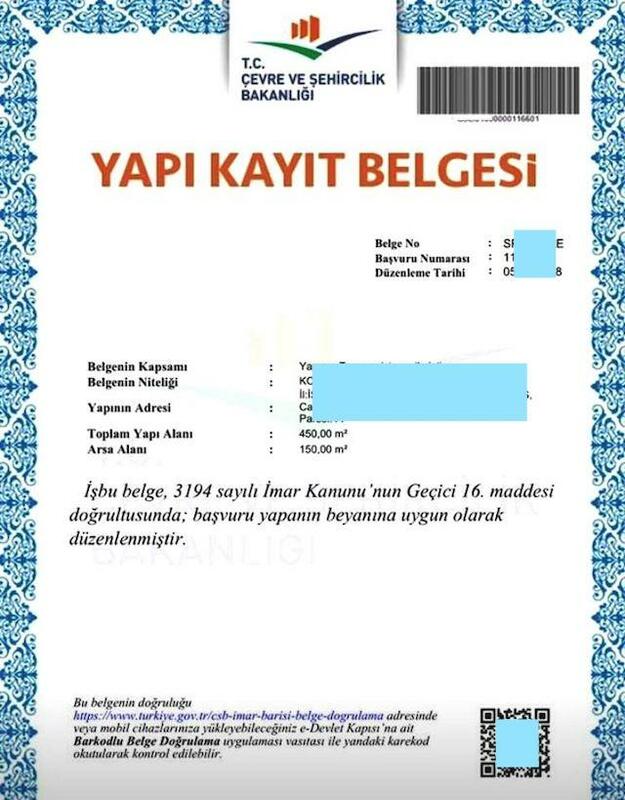 · New amnesty Permit: Yapı Kayıt Belgesi (Building Registration Certificate). 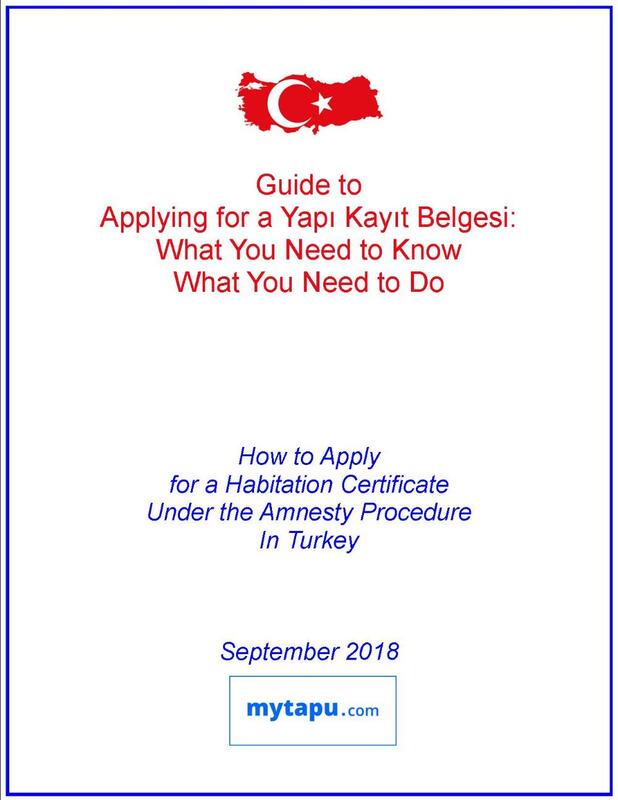 · Existing Permit: Yapi Kulanma Izin Belgezi (Building Utilisation Permit Certificate) in Turkish ‘ISKAN’ in English, ‘HABITATION CERTIFICATE’. · Owners assume liablility for sub-standard construction specifications. Help with ‘Habitation Certificate’ Headaches… Iskan ? Kat İrtifaklı ? Yapı Kayıt Belgesi ? 3) D.I.Y.?... or… Delegate ? and the closing date is approaching…. What does my Tapu say? What is a Tapu? What does my Tapu say? Kat Irtifaki or Mulkiyeti? What does my Tapu say? Habitation Certificate? Over the years we have noticed that many foreign property owners in Turkey have mis-conceptions about what a tapu is, what information it provides, and what this information means. Now, as a courtesy to these foreign owners, the team at mytapu.com will provide answers to your questions to help clarify matters. Simply complete the Tapu Advice form, upload a scan of your tapu, and specialist from our team of experts will answer your question. This is an introductory offer to the team at mytapu.com and as a special promotion, is free for limited time. So if you or your friends have questions about a tapu , the time to get reliable independent expert advice, is here and now. Please like and share us on Facebook, Twitter, or Linked-in with friends you know would appreciate the help.